Anthony Johnson reports on the sentencing of Michelle Lodzinski. NEW BRUNSWICK, NJ -- A Florida woman convicted of killing her 5-year-old son in New Jersey in 1991 has been sentenced to 30 years in prison. Superior Court Judge Dennis Nieves on Thursday told Michelle Lodzinski she had repeatedly lied about the disappearance and death of Timothy Wiltsey. "You lied, you lied, you lied, you lied, you lied," said Nieves. The Port St. Lucie woman declined to address the court and was wearing a wrist brace after injuring it in a fall. Her attorney sought the least time under the sentencing guidelines. But prosecutor Christine Bevacqua objected and argued for no mercy. "A mother who kills her child should spend the rest of her life in prison," Bevacqua said. The 49-year-old said her son disappeared from a carnival in central New Jersey, then later claimed he was abducted. The evidence in the case was circumstantial, and a cause of death was never determined because the boy's body was so badly decomposed when it was found. The body was discovered in a marshy area in Edison in 1992. 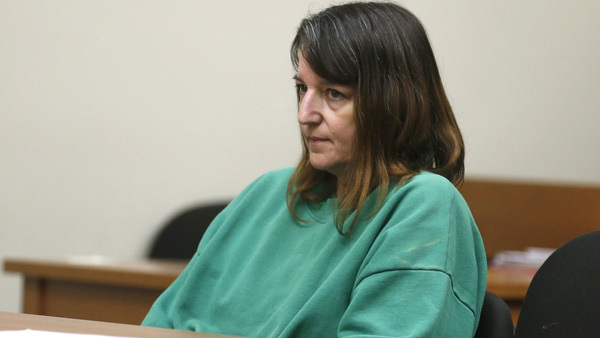 Lodzinski was charged in 2014 after witnesses identified a blanket found near the boy's body the year after he disappeared. She will serve the lightest mandatory sentence she could receive; Lodzinski could be released when she is 79. The judge gave her 884 days credit toward her sentence. She had lost a motion for a new trial.